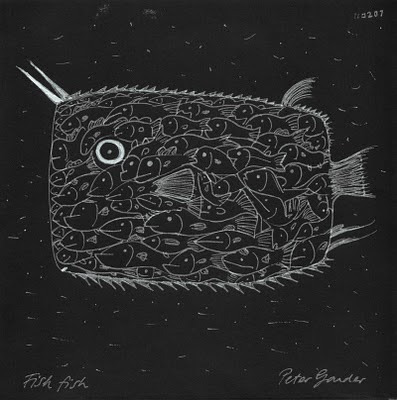 Fish fish is a paint marker sketch on black paper by English artist Peter Gander. 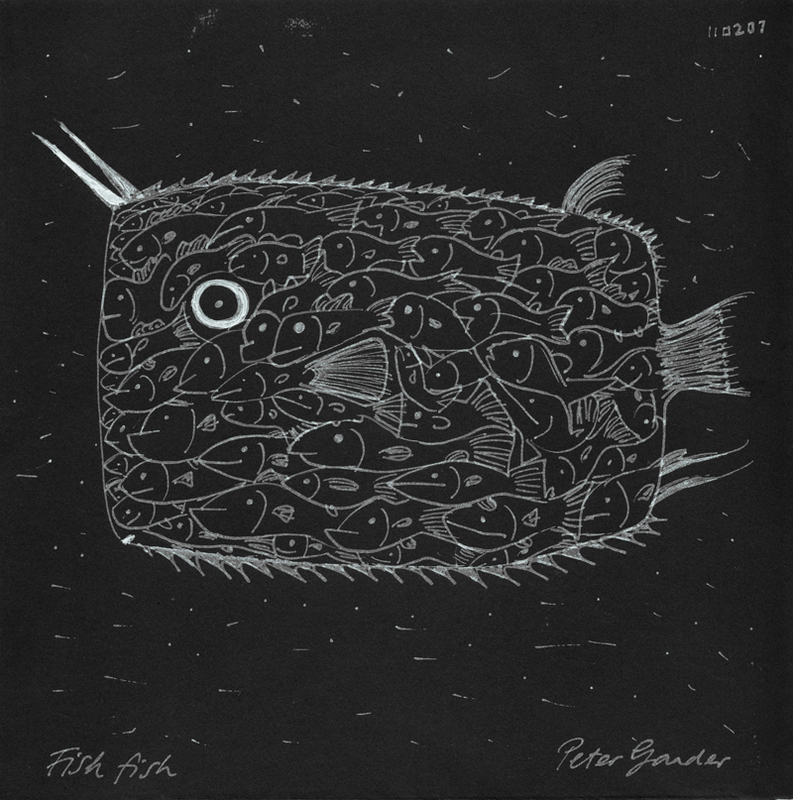 This particular piece grabbed my attention because of the way the fish "scales" were actually other fish. The technique of building a fish image out of smaller fish seemed like a perfect way to emphasize interdependence. It makes me envision a series of images of the Bristol Bay ecosystem inhabitants (bears, eagles, wolves, fish, insects, trees, etc) all developed from individual salmon units (for lack of a better term). Peter mentioned that this sketch is something he'd like to develop further. I'll keep you posted.